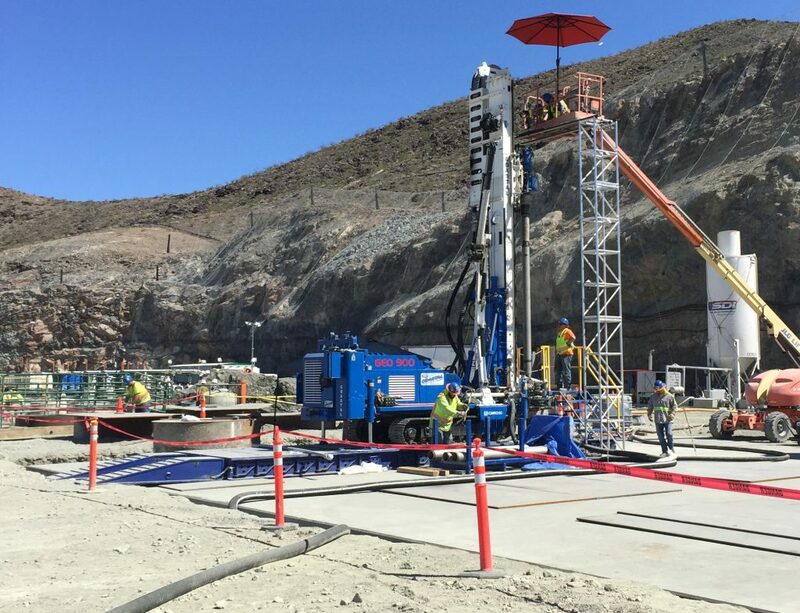 Project required the drilling of thirty-four 17.5” diameter pilot holes for future 96” diameter pump shafts that would be drilled utilizing blind bore techniques. 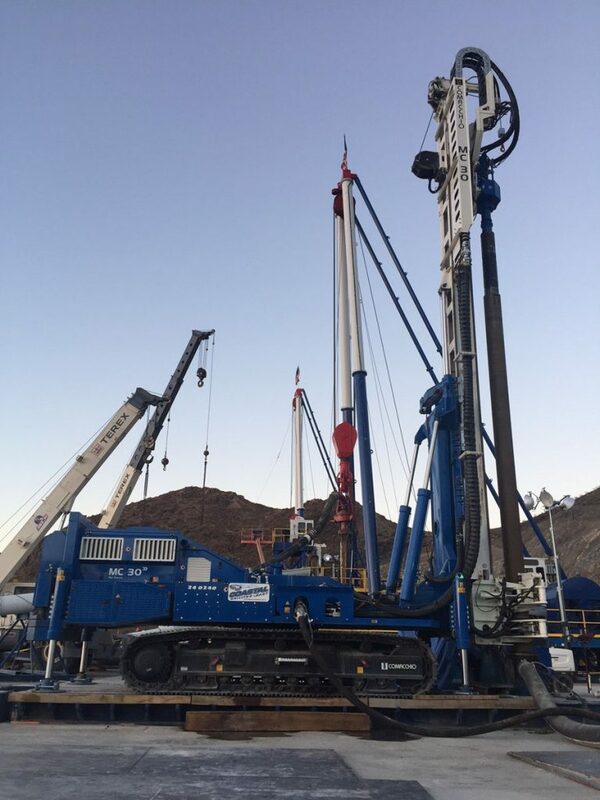 The pilot holes were drilled in two passes with the initial 8” hole being drilled using Coastal Drilling’s real-time optical guidance and verification drilling technology. The 8” initial pilot hole was then reamed to a final diameter of 17.5” that would be used as a guide for shaft drilling equipment. 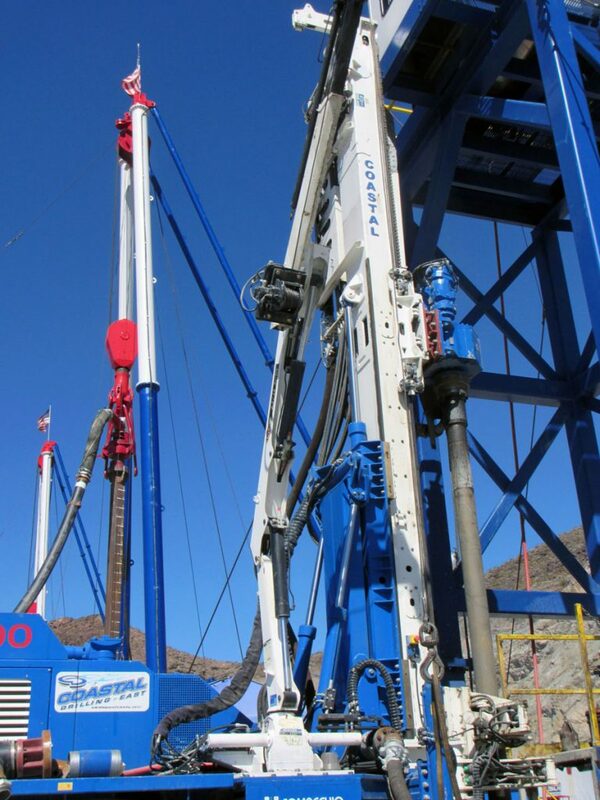 Precision pilot hole drilling in advance of the blind bore shaft drilling. 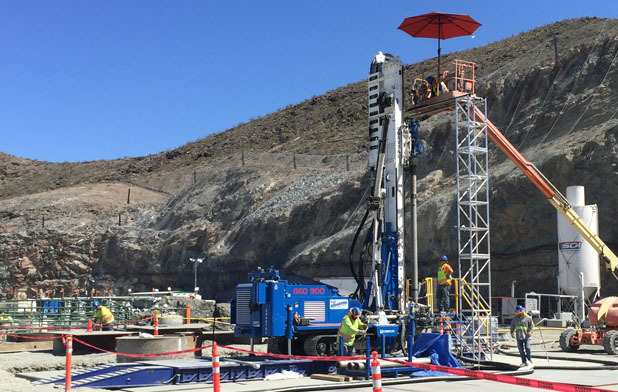 To ensure minimized operation and maintenance costs, the large diameter pumps required the intake shafts to be installed vertically with minimal deviation from center. 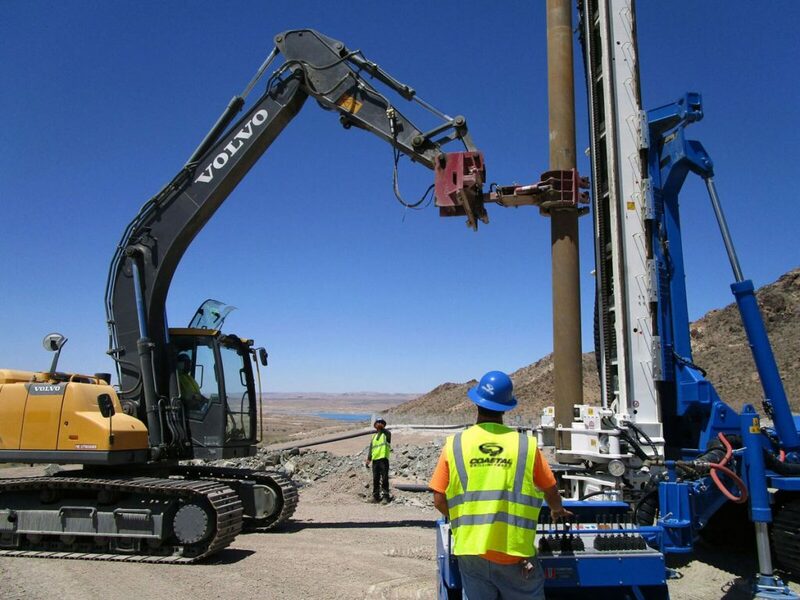 To ensure that the intake shafts, which were excavated using the blind bore shaft drilling technique, we completed with minimal deviation, the shaft drilling contractor contracted with Coastal Drilling to complete the pilot holes using its precision real-time optical guidance and verification directional drilling techniques. 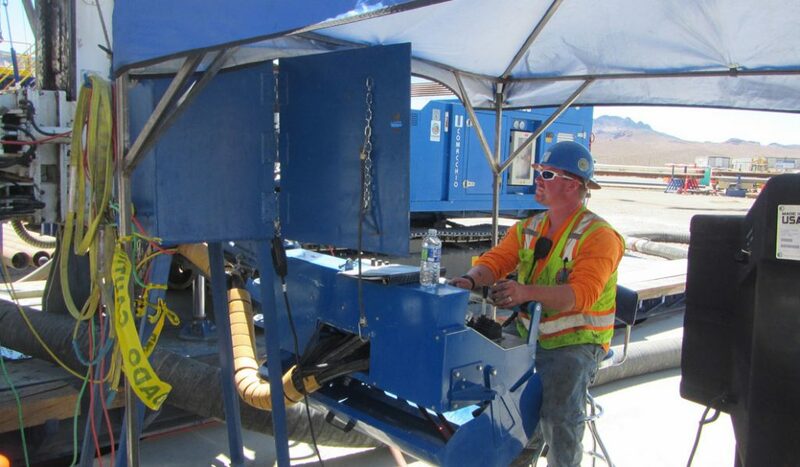 The intake pumps are operated by the Southern Nevada Water Authority (SNWA) and are being constructed as part of the larger Low Lake Level Pump Station (L3PS) project to provide an uninterrupted supply of water to the residents of Southern Nevada. 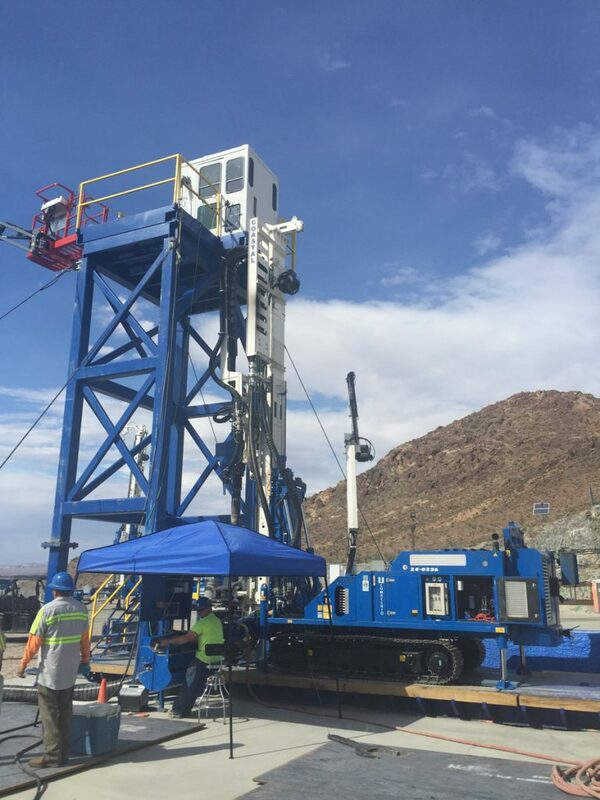 Prior to excavating the intake pump shafts, the pilot hole for the blind bore shaft drilling equipment needed to be drilled and verified to be within 5” of the planned location of the center of the pump shaft. 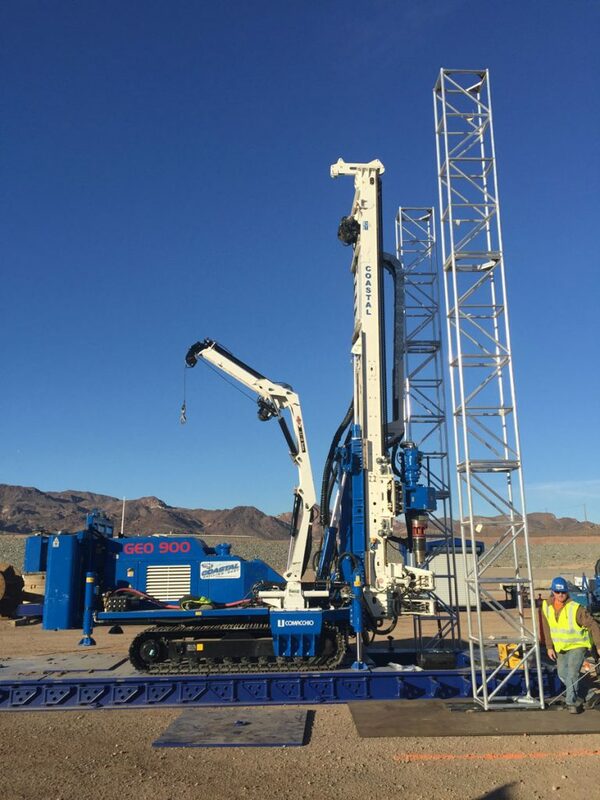 In order to achieve this extremely tight tolerance, the shaft drilling contractor engaged Coastal Drilling to complete the pilot hole utilizing the proven capabilities of its real-time optical guidance and verification directional drilling technology. 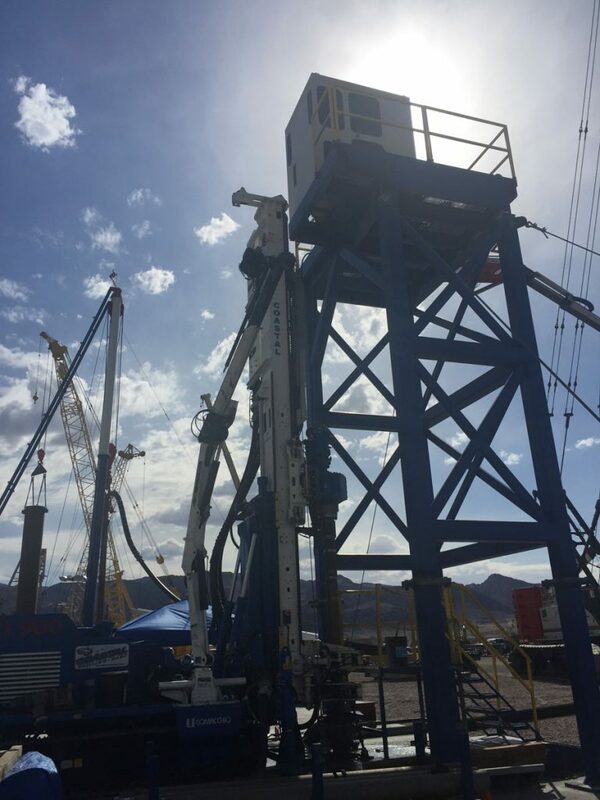 Using this method of drilling, Coastal Drilling was able to complete the vertical pilot holes in two passes – an initial 8” diameter directionally drilled hole and a final 17.5” diameter reamed hole. 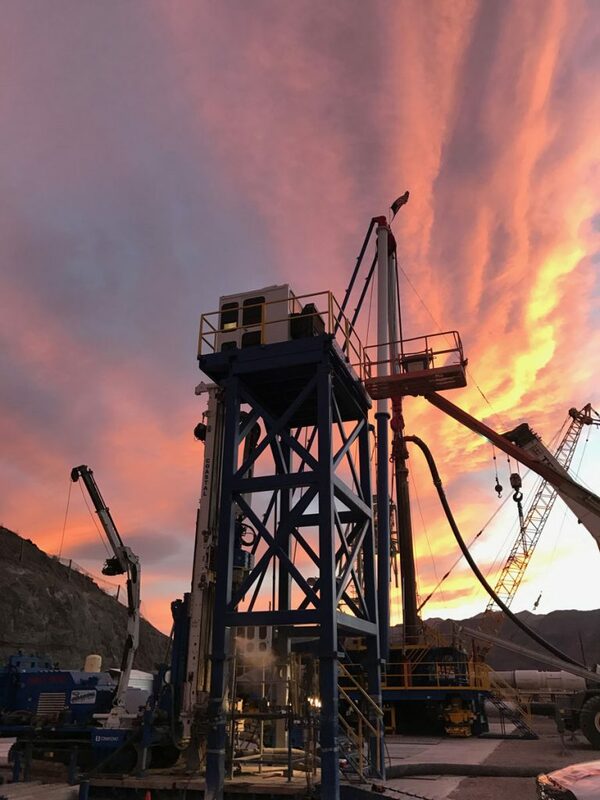 The final diameter of 17.5” was required to function as a guide for the blind bore shaft drilling equipment. 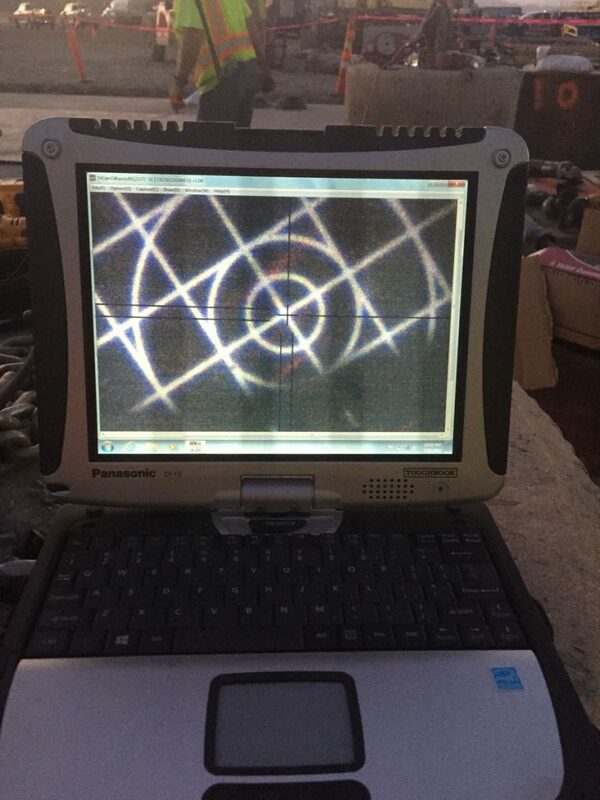 After completion of the initial 8” diameter directionally drilled pilot hole, the optical survey data was compiled and an alignment report was generated and provided to the client.